Happy Monday polished world! How are you all doing today? After typing Happy Monday, I just realized that I never did a Twinsie Tuesday manicure, so I guess I won't be posting tomorrow alongside the Twinie's. Oops. I'll be back in two weeks! 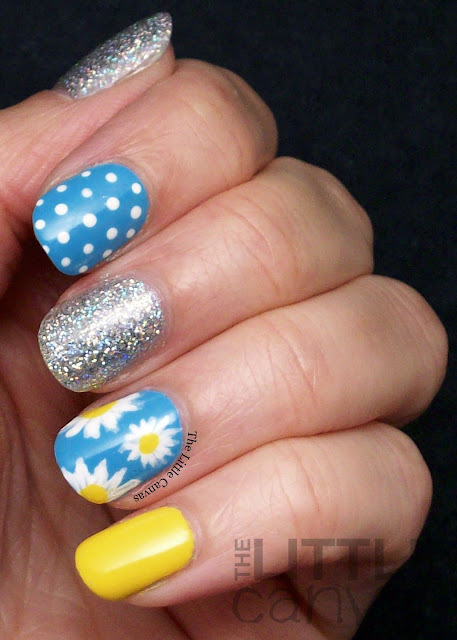 Since it is supposed to be 93 degrees today, I have decided to post a fun, bright, daisy manicure I did using some Serendipity Polishes. As you may know, I recently purchased the Beach, Please collection along with Holo-Day Lights, and I have quickly fallen in love. These polishes are MAGNIFICENT. Everyone needs to have them in their polish arsenal. Let's take a look at my manicure!! 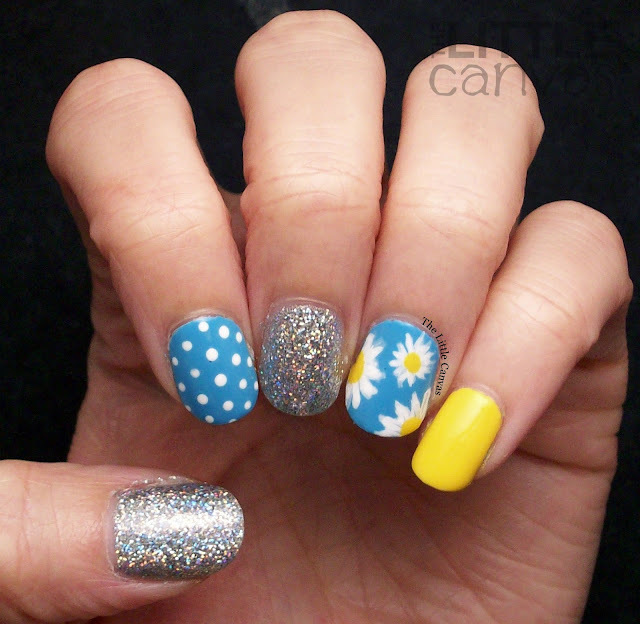 Isn't this manicure fabulous!? Let's talk about how gorgeous Vitamin Sea is. This beautiful blue is from the Beach, Please collection and is a one coater! Yup, you read that right, this polish has perfect opaque coverage in one coat! The polish also dried super fast so I didn't have to wait forever or apply a top coat before drawing my art. I love the combination of colors with this manicure. 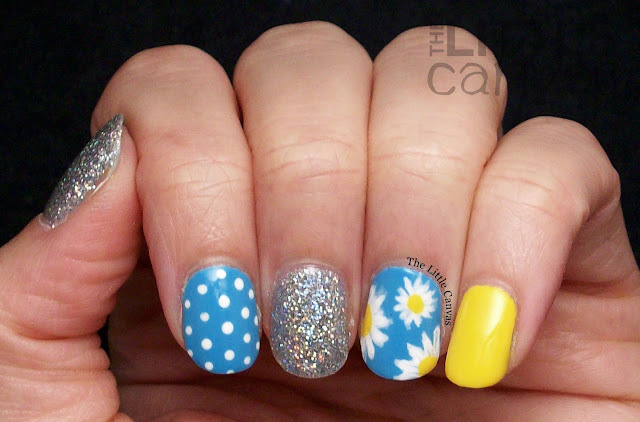 The bright blue, the yellow, the silver holo, the white daisies. Everything about this manicure was perfection. I was very sad when I took it off. I probably could have kept in on longer since after 3 days there weren't any chips, but alas I have a blog to keep updated! What do you think? 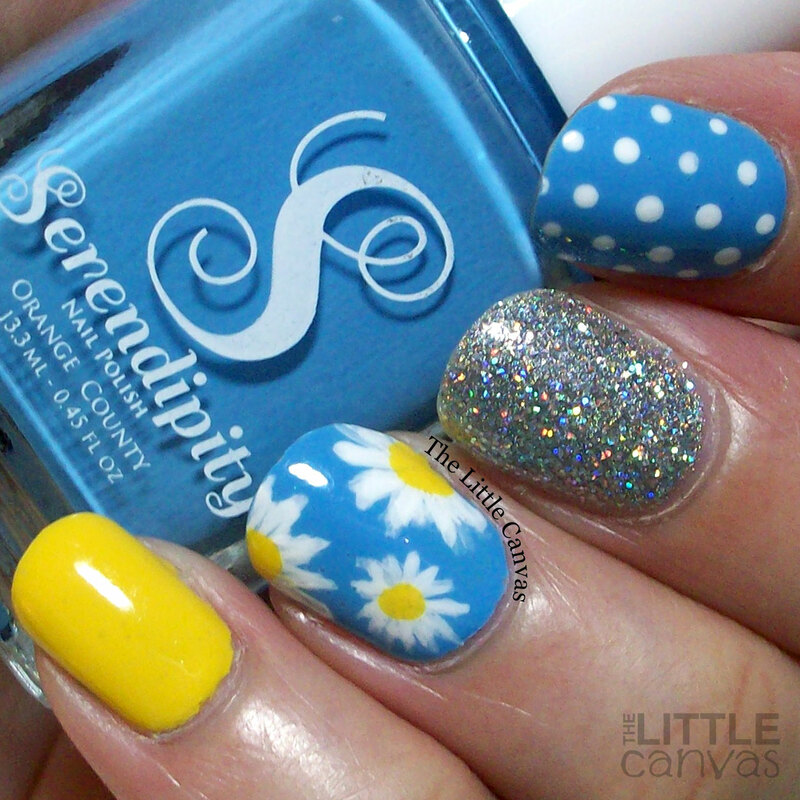 Used the Serendipity Polishes before? Love this look? ?